Train 167 is a Southbound overnight Rapid sleeper service from Hua Lamhong railway station in Bangkok to Kantang in Trang province in the South-West of Thailand. This is the slower of the two daily services that operate on this route down to Trang from Bangkok, with many more stops than the faster Express service (Train 83). However, if you are travelling on a budget and still want a sleeper bed - this service offers the much cheaper fan sleeper coaches, while the Express has only air-conditioned sleepers available. This service is operated Daily. Second class Air-Conditioned Day and Night Sleeper Coaches. Second class Fan Day and Night Sleeper Coaches. 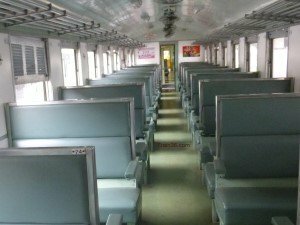 Second class Fan seating coaches. 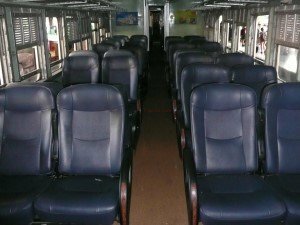 Third class Fan seating coaches. 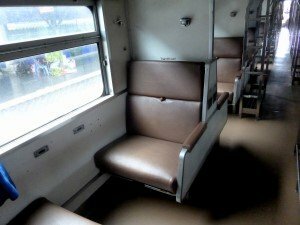 This Thai Rapid train service has a range of sleeper beds and seats with the 2nd class Fan coaches offering great value for overnight travel between Bangkok and Trang, as they cost 200 Baht less than the Air-conditioned coaches. Rapid services are one of the best trains to travel on within Thailand for shorter distances, as you only have to pay for all the fees added, depending on the distance travelled, unlike the faster Express trains where the same fee is added no matter the distance. To see ticket prices for this service to popular destinations in the South of Thailand, please see the following pages on our site and look under the section for Rapid trains. If you do not see the destination you require, please visit the following link to the Thai Railway website, where you can select your planned route and get departure times and fares.